6" Switch, MMF wooden track. Grooved on both sides. 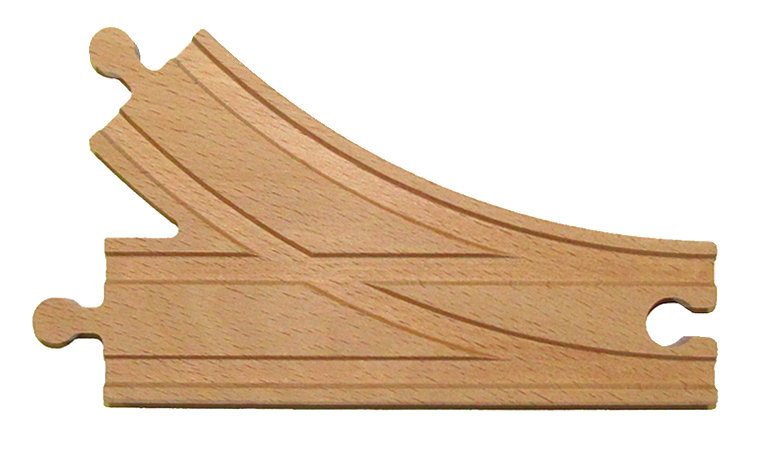 Use it to change directions of the wooden trains and expand on the wooden track collection you already have.